This morning I found myself in the centre of Dublin to attend an event at the Royal Irish Academy, in Dawson Street. Coincidentally this is just a few yards from the Mansion House, scene of the meeting of the First Dáil on 21st January 1919 (which I blogged about here) and also scene of the commemorations of its centenary yesterday. I’m guessing that the removals van was taking away some of the paraphernalia used for yesterday’s event. 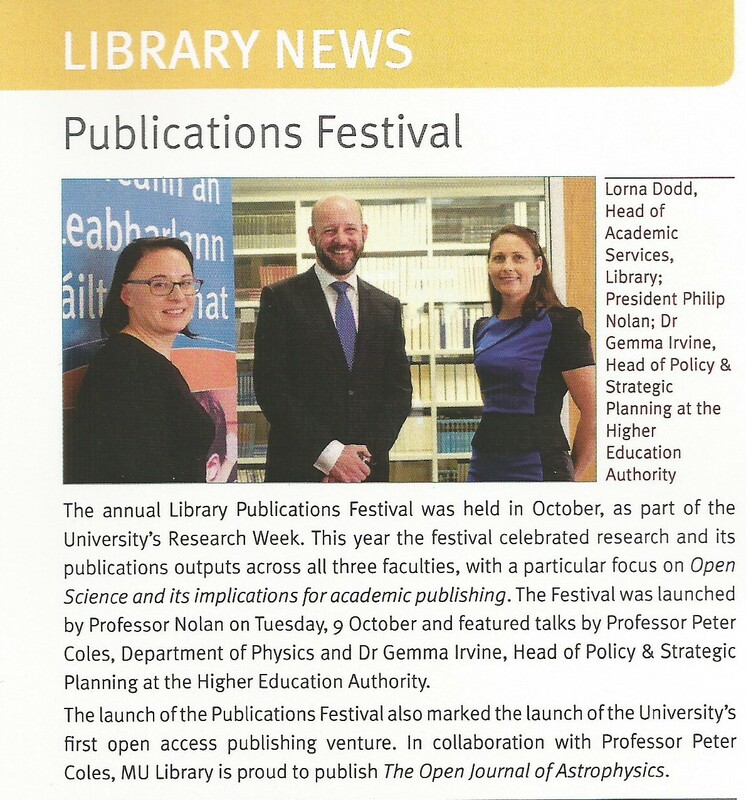 Anyway, the event at the Royal Irish Academy organized by the National Open Research Forum (NORF) was intended to disseminate information about Plan S – a European initiative for Open Access publishing. I have blogged about Plan S and some of the reactions to it before (e.g. here and here). The main point is that comprehensive technical guidance on how to comply with Plan S and you can also submit feedback on the guidance here until the deadline of February 8th 2019. Full implementation is expected by January 2020. Things are moving relatively quickly, which is a very good thing. Some people thing this deadline is unrealistic, but I think it was a smart move to make it close so as to galvanize researchers into action. I learnt a particularly interesting fact during the talk by Maynooth’s own Cathal McCauley, namely that the global revenues of the academic publishing industry amount to about, €22 billion per annum. This exceeds the global revenues of the recorded music industry. Profit margins for these publishers are much larger (up to 45%) than Apple, Google and BMW. The research community is being fleeced, and the worst offenders are the `Big Four’: Elsevier, Springer, Wiley and Taylor & Francis. One of the main concerns expressed in the discussion session was the extent that move away from traditional journals might have a negative effect on early career researchers, as those responsible for hiring postdocs and new faculty members often concentrate on the journal in which their work is published rather than the work itself. The obvious way to address this problem to use article-level information rather than journal-level metrics, which is entirely feasible to do, but it is true that we need a change of culture across the board to make this work for the benefit of science as whole. I am optimistic about this, largely because I recall very well how rapidly the culture in astrophysics adapted to the existence of the arXiv. 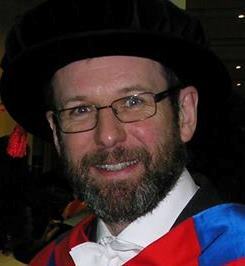 With regard to open access publishing the way forward is to disrupt the existing Academic Journal Racket by developing alternative modes publication which demonstrate benefits in cost, reach and simplicity, combined with pressure from funding agencies imposing mandates on publications arising from their grants. There is no question in my mind that in just a few years, when Open Access is the overwhelmingly dominant mode of publication, researchers will look back and wonder why we ever put up with the absurd system we have at present. Back in Maynooth after my weekend in Cardiff, I was up early this morning to prepare today’s teaching and related matters and I’m now pretty exhausted so I thought I’d just do a quick update about my pet project The Open Journal of Astrophysics. I’ve been regularly boring all my readers with a stream of stuff about the Open Journal of Astrophysics, but if it’s all new to you, try reading the short post about the background to the Open Journal project that you can find here. Since the re-launch of the journal last month we’ve had a reasonable number of papers submitted. I’m glad there wasn’t a huge influx, actually, because the Editorial Board is as yet unfamiliar with the system and require a manageable training set. The papers we have received are working their way through the peer-review system and we’ll see what transpires. Obviously we’re hoping to increase the number of submissions with time (in a manageable way). As it happens, I have some (modest) funds available to promote the OJA as I think quite a large number of members of the astrophysics community haven’t heard of it. This also makes it a little difficult to enlist referees. So here I have a small request. Do any of you have any ideas for promoting The Open Journal of Astrophysics? We could advertise directly in journals of course, but I’m wondering if anyone out there in the interwebs has any more imaginative ideas? If you do please let me know through the comments box below..